#1 Mercedes (Germany) driven by Camille Jenatzy, 120 HP. Finished 15th. Cracked cylinder during Lap 4. #2 De Dietrich (France) by Arthur Duray, 130 HP. Finished 9th Running in Lap 8 when race was called. Averaged 55.0 mph. #3 Pope-Toledo (USA) driven by Bert Dingley, 60 HP. Finished 12th. Broke cylinder, made repairs and was running in Lap 6 when race was stopped . #4 Fiat (Italy) driven by Vincenzo Lancia, 120 HP. Finished 4th. Fortunes of race changed when Lancia collided with Christie who was only on Lap 4 at I.U. Willets Road at Michelin Tire Station in Albertson. Broke rear wheel. Delayed 30 minutes and lost by 24 minutes and 23 seconds. #5 Mercedes (Germany) driven by Foxhall Keene and mechanician William Luttgen, 120 HP. Finished 11th. Skidded into telegraph pole at S curve at Willis Avenue and broke wheel during Lap 6. Pole was owned by his father's company. #6 Darracq (France) driven by Louis Wagner, 80 HP. Finished 16th.Lost gear box covers, bearings seized during Lap 4 at Bull's Head Hotel in Greenvale. #7 Locomobile (USA) driven by Joe Tracy, 90 HP. Finished 3rd. First American car to ever place in an international race. Beat Lancia by 2 minutes and 5 seconds. Averaged 56.9 mph. #8 Fiat (Italy) driven by Felice Nazzaro, 120 HP. Finished 6th. Still running in Lap #9 when race was called. Averaged 58.2 mph. #9 Mercedes (Germany) driven by John Warden, 120 HP. Finished 8th. Still running in Lap #9 when race was called. Rear wheel running on rim. Best performance of German team. Averaged 47.3 mph. #10 Renault (France) driven by Francois Szisz, 90 HP. Finished 5th. Still runing in Lap 10 when race was called. Averaged 55.7 mph. #11 Christie (USA) driven by Walter Christie, 60 HP. Finished 17th. Collided with Lancia who was on Lap 8 pulling out of the Michelin tire station on IU Willets Road in Albertson and broke both wheels during Lap 4. Turned into a ditch to avoid Lancia. #12 Fiat (Italy) driven by Emanuel Cedrino. 90 HP. Finished 18th. Damaged steering gear during Lap 3 after hitting telegraph pole in Lakeville. #X Mercedes (Germany) driven by Albert Campbell, 120 HP. Finished 18th. "Unlucky" 13th car to start race. Gasoline tank fell off during Lap #2. Only car to run in Vanderbilt Cup Races without a number. #14 Panhard (France) driven by George Heath. 120 HP. 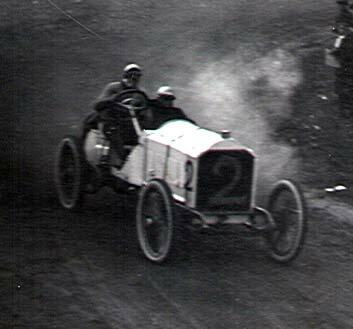 Driver was 1904 Vanderbilt Cup Race winner. Finished 2nd. Lost by 3 minutes and 32 seconds. Averaged 60.7 mph. #15 Pope-Toledo (USA) driven by Herb Lytle. 90 HP. Finished 14th. Broke cylinder, made repairs and was running in Lap 6 when race was stopped. #16 Fiat (Italy) driven by Louis Chevrolet. 90 HP. Finished 10th. Ran into telegraph pole at the S curve at Willis Avenue and broke front wheel and bent front axle during Lap 7. 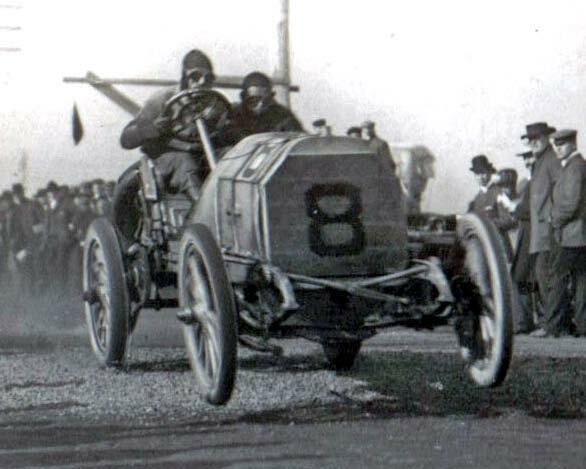 #18 Darracq (France) driven by Victor Hemery. 80 HP. Finished 1st. Hemery received $12,000 from Darracq and tire manufacturers for winning. Averaged 61.5 mph. #19 White Steamer (USA) driven by Walter White. 40 HP. Finished 13th. Tire and engine problems during Lap 5 when race was called. Running without front left tire which came off at Guinea Woods Turn. 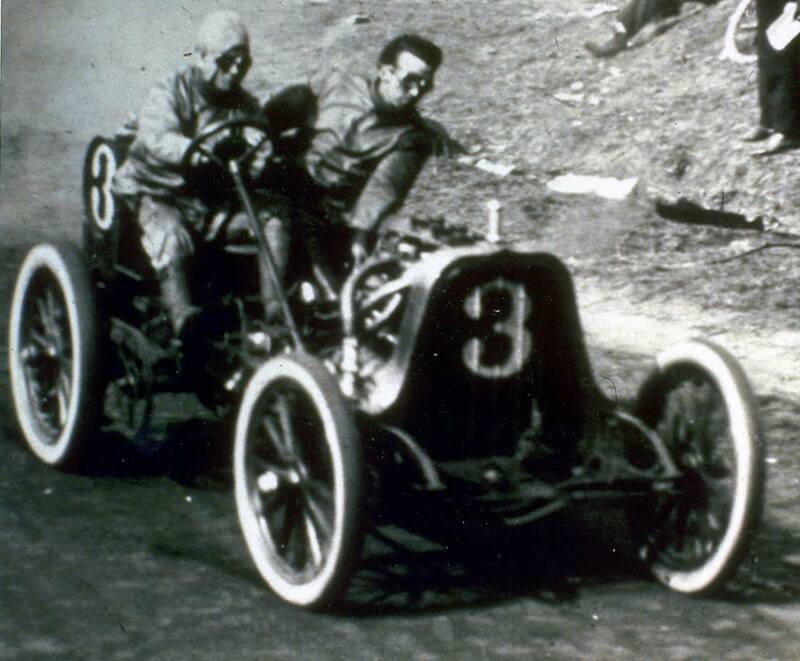 This steam car was the only non-gasoline-powered car to ever compete in the Vanderbilt Cup Races. #20 Fiat (Italy) driven by Paul Sartori. 90 HP. Finished 7th.Broke crankshaft during Lap 9 . Perhaps someone should tell the present day Chrysler that a FIAT driven by Louis Chevrolet was in this event! A marketing program for the Fiat 500? 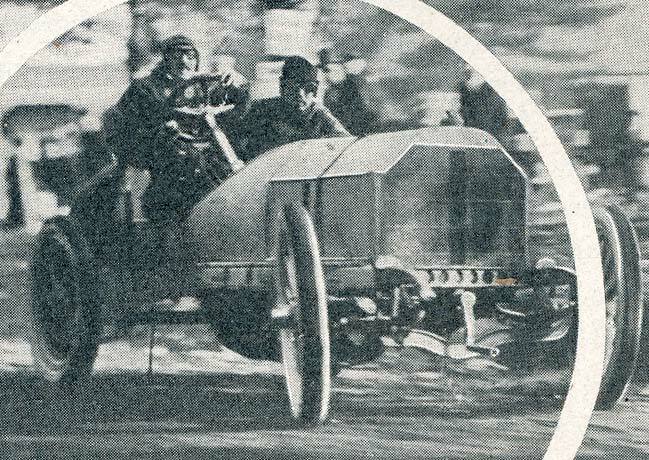 Fiat had a presence in the Vanderbilt Cup Races since the first race in 1904 when it had two entries. Driver for Alfred Gwynne Vanderbilt, cousin of William K. Vanderbilt, Jr.
First American car to place in an international race. Best performance of German Team in 1905. Collided with leader Lancia on Lap 8 changing outcome of race. Only car to run in Vanderbilt Cup Races without a number. 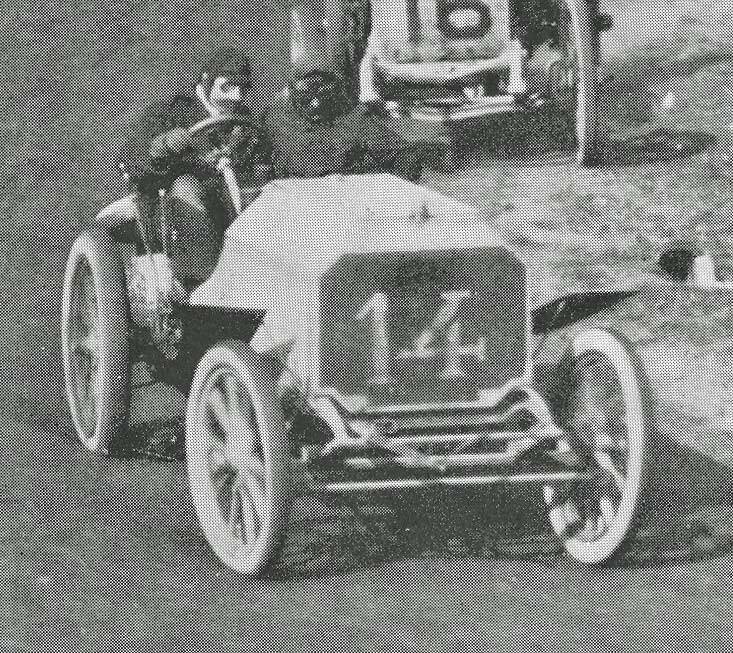 Louis Chevrolet's first major race in the United States.